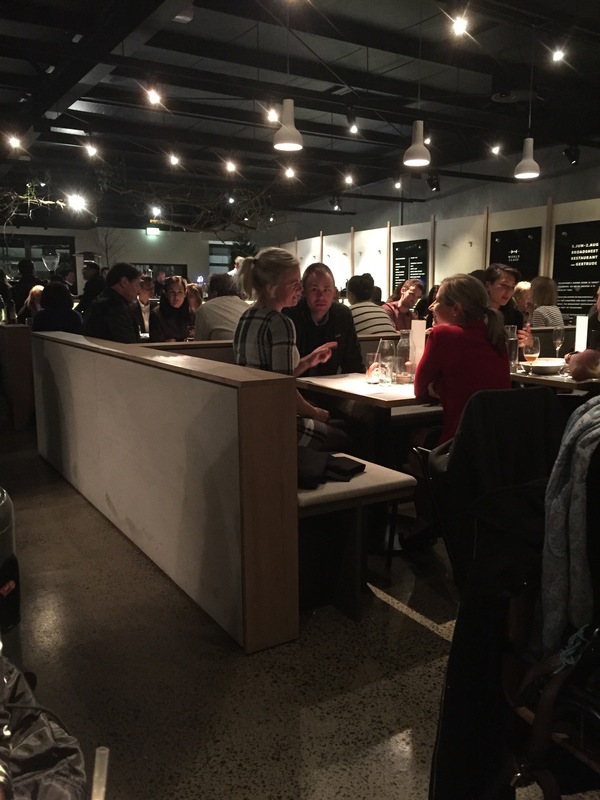 As the time the Broadsheet Restaurant is open comes to an end we returned for an evening. It was surely fate because we found ourselves seated in the exact same place as our last visit despite the incredible improbability of such a thing. The atmosphere really changes at night. Despite the large size of the restaurant it feels intimate, and despite the abundance of people and the hum of diners it feels private. The service was friendly and personal, the staff don’t mind having a laugh with you. It was early on a Wednesday night but they were under the pump and it showed despite their best efforts. Luckily our drink orders were taken on arrival so we had something while we waited. The drinks at the Broadsheet Restaurant are designed to welcome to you to your meal, to clear your palette and refresh the senses. Don’t worry, you’re in good hands, the drinks have all been designed by Jack Sotti, the 2015 World Class Bartender of the Year. 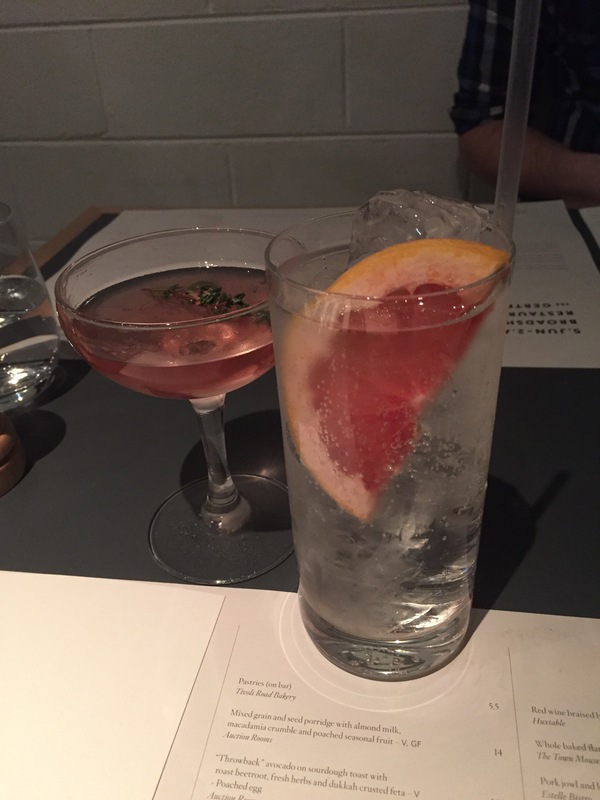 We went with the Gin and Tonic and the Boutinnerie, both refreshing, light and cleansing and leaving us in a pleasant mood to start our meal. Like at our recent breakfast there’s a whole host of dishes available all hailing from the very best restaurants and chefs around Melbourne. We decided to start with a couple of sides first. Let’s start with the macaroni cheese from Huxtable. It’s just one of those dishes we’ll always have a soft spot for. It’s hot and cheesy and comforting, a guaranteed winner. 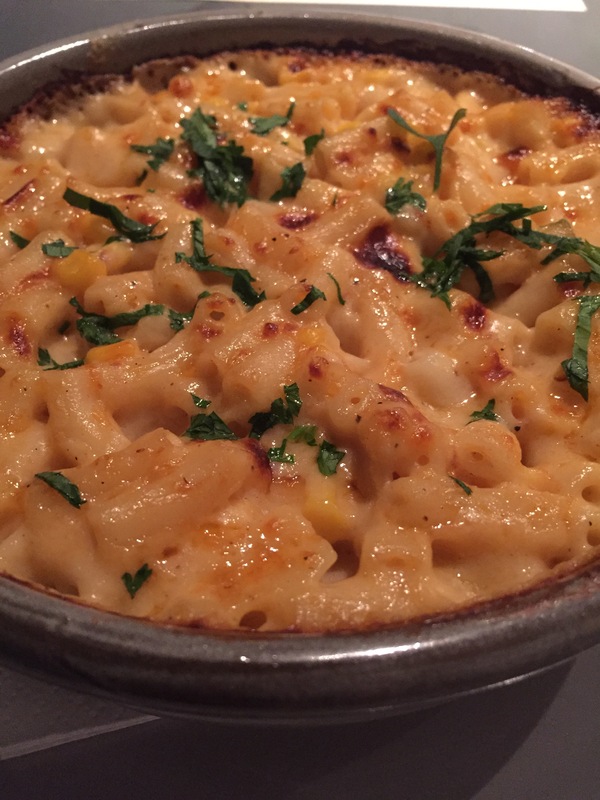 This particular macaroni was a smoky mozzarella with sweet corn and a delicious creamy relish that seriously satisfied. It was served hot with a bit of a crispy top and the macaroni held it’s form, making it one of the best examples of this dish we’ve tried. We also went with the Brussel sprouts. Before you refuse to read on in horror, Brussel sprouts are actually an incredibly delicious dish and if you don’t give them a try you’ll never know how fantastic they can be. 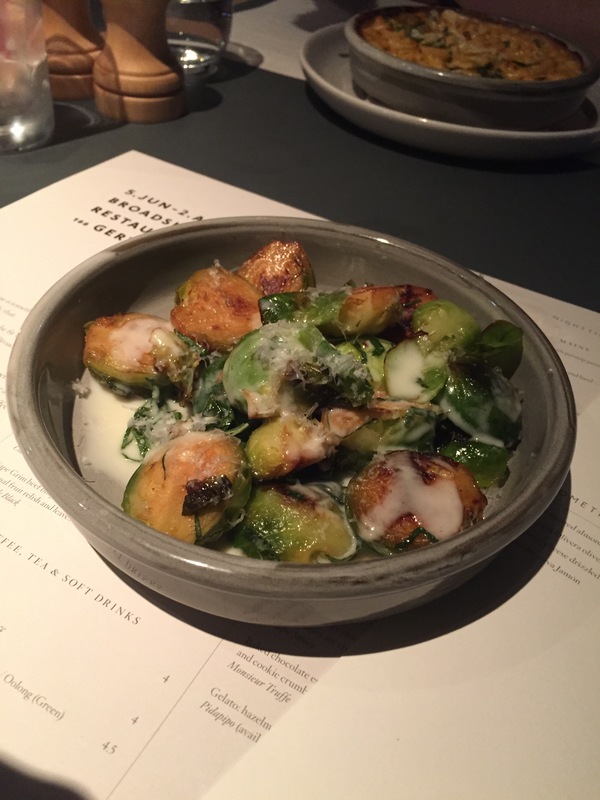 Broadsheet were serving up charred Brussel sprouts with soured buttermilk, a dish originally from The Town Mouse. It was tangy but charred, with a wonderful texture and a little bit of Parmesan. If this dish convinces just a few more people give Brussel sprouts a try then I’ll be happy, but if not we’ll more Brussel sprouts for me! There was a bit of a wait for mains but finally our selections arrived. It’s hard to ignore the beef short rib from Huxtable (I’m noticing a theme in the dishes we chose here) so let’s start with that! 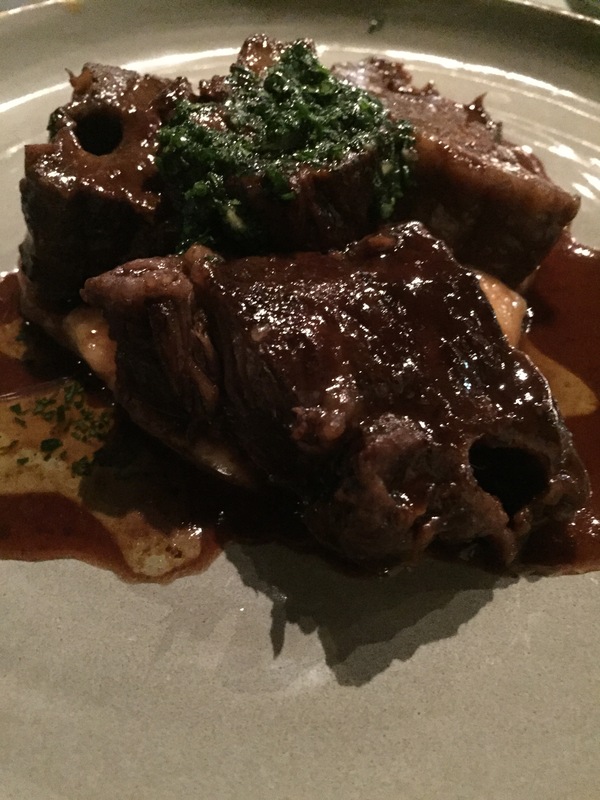 The meat was delectable, the red wine braise gave the meat a rich and intense flavour. It was complemented by an impeccably creamy parsnip purée to soak up some of those delicious juices. All in all it was a tasty and generous dish and we would certainly visit Huxtable to try it again. 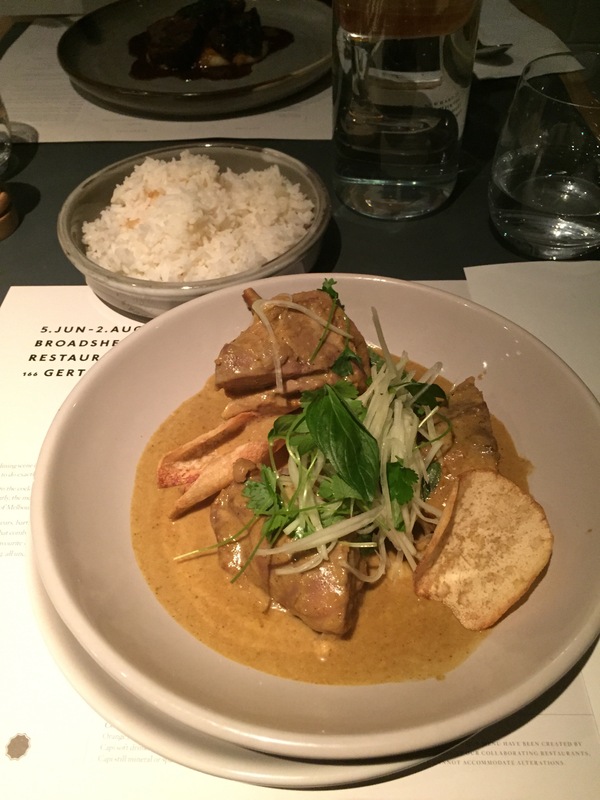 We also tried the duck curry from Coda. Duck is only something that we’ve started eating recently so I’m still discovering what it’s capable of. Wow was this curry a brilliant introduction, I simply cannot rave about it enough. The duck was cooked to perfection with tender and blushing meat and the curry was beautifully spiced, creamy and with a warmth that still allowed you to experience the depth of flavour in the sauce. It’s just a shame there wasn’t more of the curry sauce. Here’s the thing though, they got all the complex parts of the dish right, but somehow a large section of the rice had been browned, probably stuck to the bottom of the cooker, and just served partially hidden under the rest. It’s such a shame because it would have been a knockout dish without such an oversight at best, or laziness at worst. We knew exactly what we wanted for dessert before we were even offered menus again, it’s one of those menus you’ll devour on the first read and we’d already made up our minds. Even so it took a long time to get our order taken, the staff were under pump but did their best to get back to us. 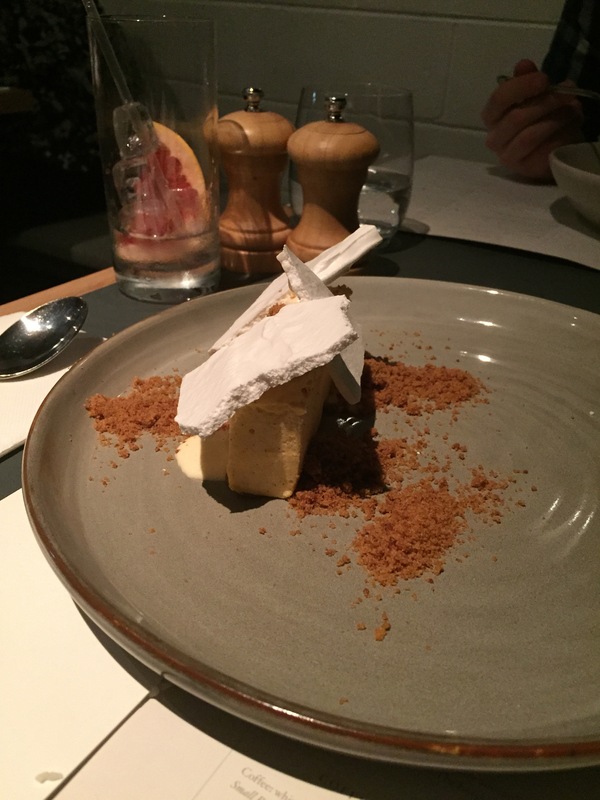 The first of the desserts we chose was the apple and quince crumble with truffled honey ice cream from Philippa Sibleys. It was light, textured and sugary with a beautiful combination of flavours and a delicious sweetness. 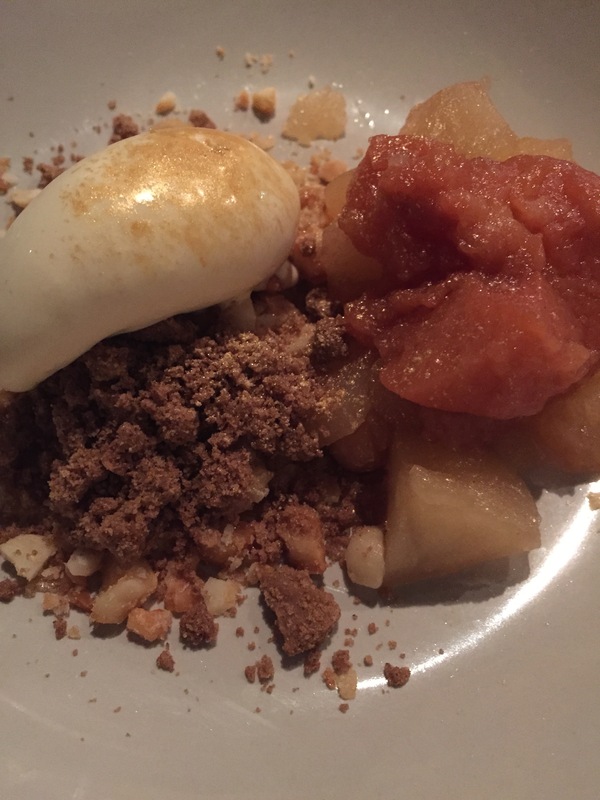 The quinnel on the ice cream was perfect and the quince a lovely complement to the traditional apple and crumble flavours. 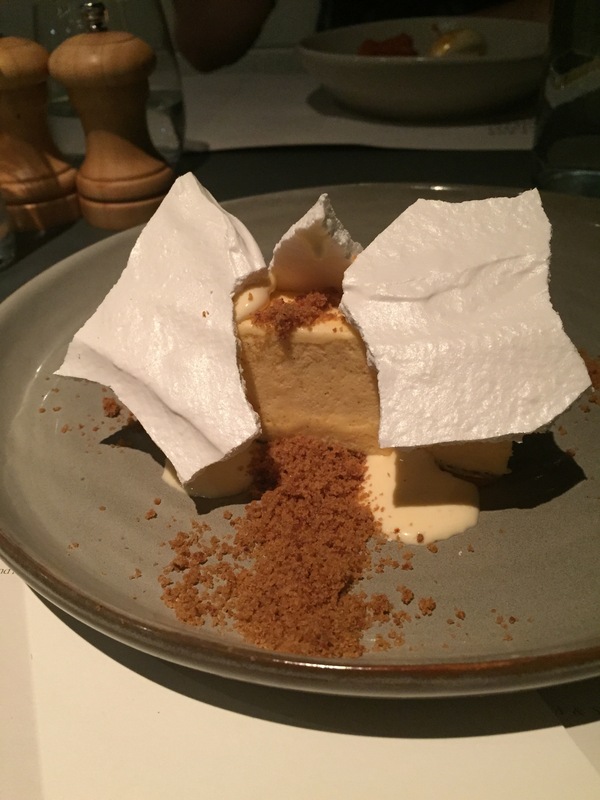 Our last meal was the vanilla crisp from Pierre Rolofs, it was served with a dulce de leche, orange and hazelnut. This dish looked simple but it was hard to really capture its complexity through a lens. The crisp was salty and light but still sweet, and there’s a beautifully textural crumb under the parfait. The only possible improvement could have been more of that delectable caramel smeared at the bottom – don’t tell me there’s dulce de leche and not give me loads of it! The Broadsheet Restaurant deliver a unique dining experience by taking the best of the best and bringing it all together. We couldn’t fault them on the big things and would recommend you give it a go before this swanky restaurant turns into even swankier apartments!